Computer Master has offered local area network support for over 25 years. Our support includes a fully comprehensive service from layer 1 to layer 7. What does this mean? We ensure all aspects of LAN support are covered including the several layers of service. Whether you’re a new startup or a well-established company, we can get your business’ local area network setup easily. Take a look at our step by step guide on how we perform LAN support services in Scarborough. Let’s begin with an empty office and describe the process and procedures we go through to get your business setup. Before the setup, we check all available Internet options in your area. At this time, security level or protection levels are determined along with an appropriate firewall. Once security levels are confirmed, you’re sent a quote outlining all internet options that meet your budget. 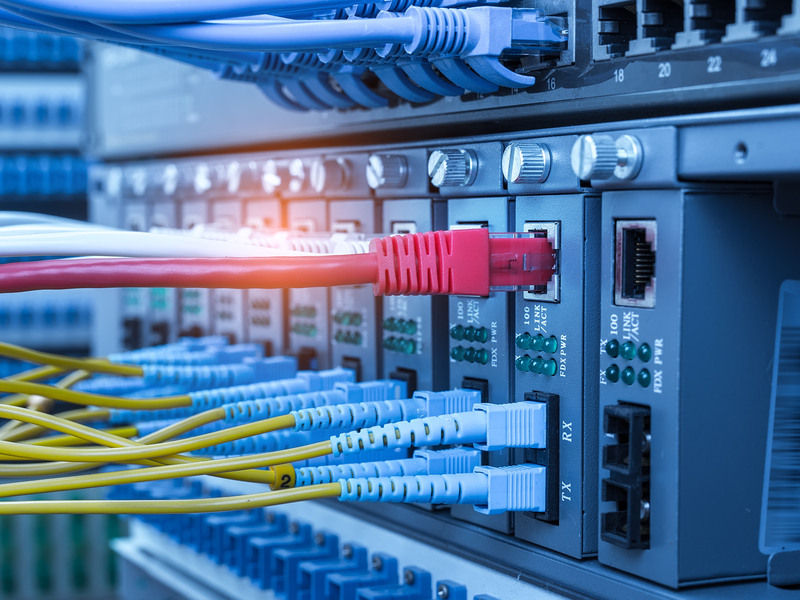 Compliant cabling is performed after determining the number of users, network printers, and devices that are required for connectivity. We then determine the primary, secondary and tertiary software used across the local area network. Once this information is confirmed, we then design the hardware required. This includes the Server, Desktops, Laptops, Printers, Tablets etc. which would be supported by the precise software. Afterwards, we then put together a delivery schedule for all the hardware and software to be set up. Once approved, our teams of professionals are ready to deploy the required services for your business. The internet connection is ordered, cabling technicians are then scheduled for installation of LAN cabling, including obtaining all the software and hardware. Before installation, all hardware and devices are tested and pre-configured in our lab. Once completed, we schedule the on-site deployment of all the equipment. Our system engineers install all equipment and test software, printers and Internet access for all users. At Computer Master, we support all issues that may arise from a completely new local area network system. We design a support agreement that is sufficient to proactively and preventatively maintain your network on an ongoing basis. An SLA (Service Level Agreement) is custom designed to your home and business requirements. This means no two service level agreements are identical, as we cater our SLAs to your specific needs. We pride ourselves on our customer service level, which is why our motto is Service, Service, Service. We support both wide area networks and local area networks in Scarborough. Our customer service and technical assistance can be reached during our business hours, Monday to Friday from 9am-5pm with special provisions requested for after-hours support. At Computer Master, we pride ourselves on delivering the best quality Scarborough LAN support. Our approach is an easy, effective and affordable business solution for your network needs. for a FREE estimate and information session!